Today I came across a useful tip for developers submitting applications to the Chrome Web Store. Recently we created a new vector-based icon for Entanglement and decided to use the new version in the Chrome Web Store. (There are a lot of square icons in the store, and hexagons are so cool.) Doing so updates the icon on everyone's "new tab" home page as well, which in turn sparked renewed interest in Entanglement. Notice a snapshot of our Entanglement web analytics above: a bump of approximately 60% more visitors on Monday (the day we uploaded the new icon) than the days before. Up to now, we were not sure how to best reach people who have installed one of our apps and let them know that we have rolled out a major update. It seems a very easy, and almost elegant, way to do so is to simply change the app icon! 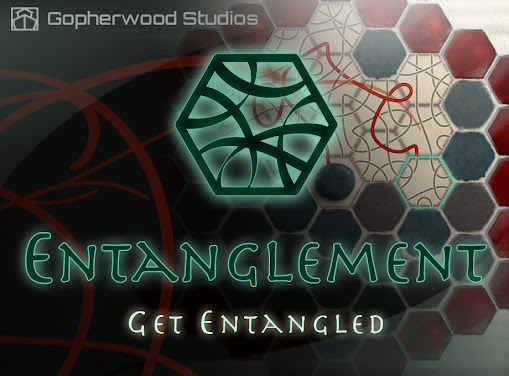 Whenever the conversation of games comes with anybody, I surely mention entanglement. Thanks kichuku! We're glad you enjoy it; thanks for telling others about it and for trying the expansion set!